Some of the most conversation-worthy homes are decorated with an eclectic mix of new and old furnishings. This approach adds interest and allows you to incorporate your own personal style to your home. It also lets you keep up with the trends without spending a fortune. The key to success when mixing traditional and modern decor with flair is to find balance. One way to add cohesiveness to eclectic design is to stay within a color scheme in order to anchor the room. When picking up snazzy modern pieces to add to the look of a room, choose a color that already exists there. 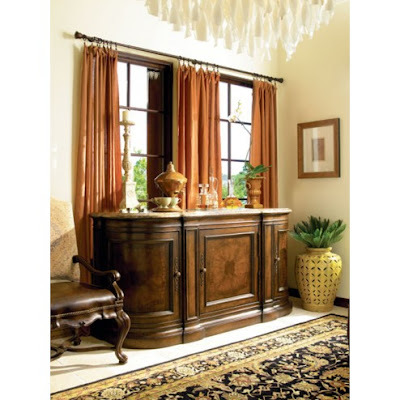 Half the appeal of decorating with various styles is in the shopping. When a piece catches your eye, you naturally want to bring it home. That's fine, as long as you keep in mind that you'll want to balance that item with what you already have. For example, if you purchase a tall funky vase to add to your end table, consider adding something of similar height to the opposite end table for balance. Along the lines of balance comes the concept of scale. When you have a variety of furniture styles, it's imperative to choose pieces that are similar in size. Pick up dining chairs at a flea market and paint them each a different color for placing around your large kitchen table. Just make sure each is similar in size and scale so that the eye can visually scan them with ease. Another ground rule, so to speak, of mixing traditional and modern home decor is to choose pieces of similar shape. If you're going with large, plush sofas in a room, it's not a good idea to add a thin, boxy wooden chair in the grouping. When going with a mix of modern and traditional, try to maintain an equitable balance of each throughout the room. If there is too much of one style clustered in a particular area, the difference will be glaring rather than attaining the seamless look you're after. There are lots of advantages to choosing opposites in home decor. Buying classics like traditional Thomasville furniture is an investment that will last for years and never go out of style. Adding modern pieces is a way to add personality, stay with the times and never get bored. Happy decorating. You may have lived in your home for a long time. If this is the case, you might be looking for ways to make your house better. There are many home improvement projects you can undertake, some are much more involved than others. The key is to choose one that will benefit your home in a wide variety of ways. For many years, the installation of fencing around a home has been a popular project. Installing fencing is a great home improvement. Here are a few things to consider during a fence installation. 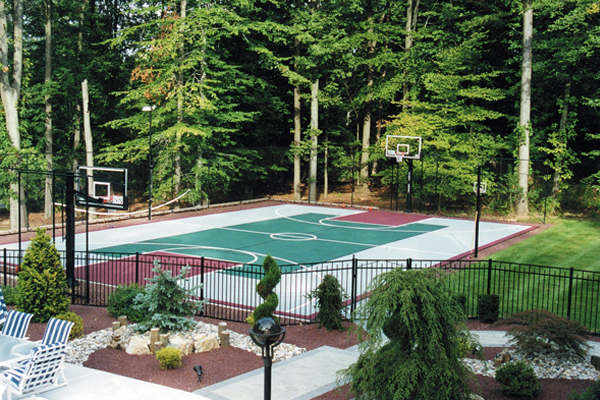 There are many different materials you can choose to have your fence made out of. Iron, aluminum, steel, vinyl and wood are some of the most popular materials. 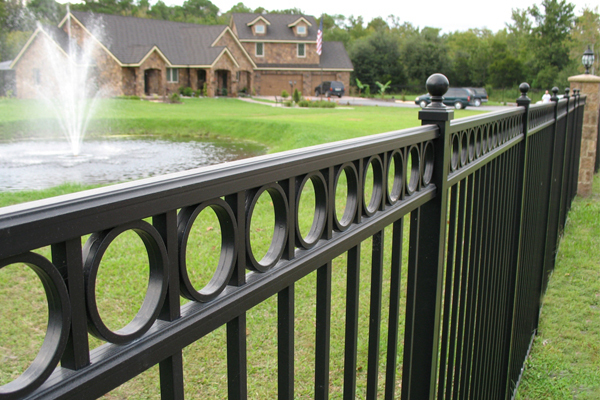 The material you choose will depend on the purpose of the fence you are installing. If you are only installing a fence for purely aesthetic reasons, you might want to think about buying a wood fence. However, if security is your primary concern, an iron or steel fence would be a better choice. The Carnahan White Fence Company has been in business since 1952. They offer fences made from all of these materials. Visit carnahanwhite.com to check out their inventory. How tall do you want your fence to be? This is something you will need to give some thought to before you buy a fence and schedule an installation. If you are mainly concerned about keeping your pets and young children in your yard, the fence does not need to be more than a couple of feet tall. However, if you want to make your house safe from intruders, a much taller fence would be advisable. The same thing applies if your purpose for installing a fence is for privacy. If you want to prevent nosy neighbors or passers-by from peering into your yard, you need to have a fence that is at least six feet tall. As you might imagine, some fence materials will cost you more than others. 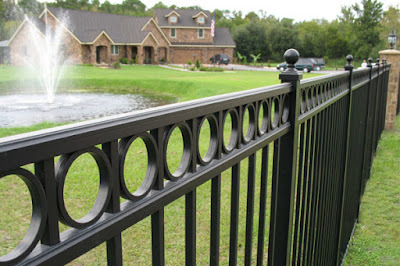 The price might be the determining factor when it comes to choosing a material for your fence. Remember to compare prices and shop around before you make any decisions. Set a budget for yourself and always allow for the cost of both the materials and the installation labor. People are always looking for simple and inexpensive ways to look better. Getting cosmetic surgery is often very expensive. Since it is an elective surgery, insurance companies will not cover it. Therefore, it has become common for people to seek out cheap ways to make their skin look more attractive. Let's face it, looking good helps people to improve their confidence in social settings. Fortunately, it is not difficult to make yourself look and feel better without emptying your bank account to do it. Here are a few easy ways to improve your appearance. If you are a man, having gray or white hair can make you look much older than you really are. While some people like George Clooney look good with gray hair, most men do not. It has never been easier for men to dye their own hair. You do not need to go to a salon and pay a professional to dye your hair. Most men find this embarrassing. It is also not cheap to have it done on a regular basis. Fortunately, there is a much cheaper alternative. All you need to do is go to any drug store and buy a box of men's hair dye, follow the instructions and enjoy looking more youthful. Pale skin is something that is generally looked upon as being unattractive. Because of this, tanning salons like Sun Tan City have become extremely popular for people who want to keep their tan during the entire year. Many people are concerned about the effect that repeated tanning will have on their skin. There is now a sunless tanner that allows people to achieve the ideal shade for their particular skin tone. It will last for a week to 10 days. You can find out more about the sunless tanner by visiting www.suntancityspringfield.com. Women have been using concealer for many decades. However, men have only recently started to openly admit to using products to cover up their blemishes and scars. In fact, there is a large demand for concealers that are specially made for men. Many companies such as Menaji and Tom Ford have jumped on the bandwagon to get a piece of this lucrative market. Using a concealer is nothing to be ashamed of if you are a man. It is very simple, it does not take much time and it is cheap. Why not do it? When I think about my kids’ hobbies I can’t help returning back to one summer vacation that I enrolled them in our municipality’s free music schooling for kids and teens. 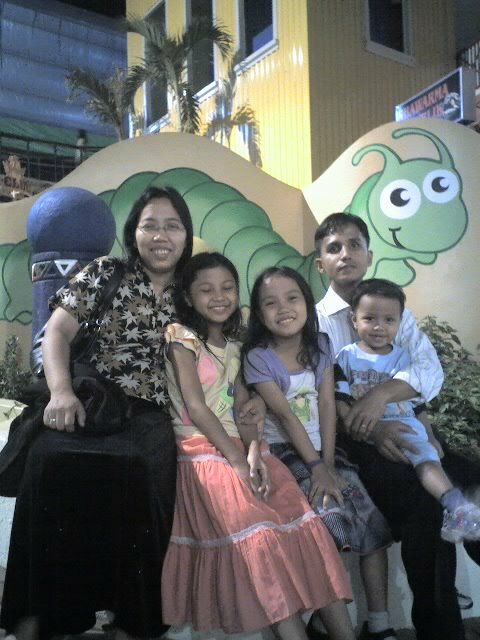 I enrolled my daughters who were so young then in their 6th and 7th grade while my son was in grade 1. As young as they were they’re very much interested not just in music but in playing various musical instruments. I know that it comes from the genes of my Mom who have some musicians in their family but their interest is still overwhelming. The girls had their keyboard classes which they used until now in playing their pieces, the eldest didn’t finished the class because of chicken fox but the two made it until graduation. My little boy was so infatuated with playing drums so I enrolled him and he enjoyed every session of it. When I saw concert toms on my favorite music online store those memories of music schooling keep coming back to me. Josh, now a big boy plans on continuing his drum lessons and we’re planning to do it next school break, maybe on summer vacation. Most of us understand the concept that in order for consumers to have fair prices and a choice in open markets, competition among suppliers is a necessary and good thing. However, when it comes to resources all of us need, like power and communications, some feel that government regulation and control are necessary to protect the public. Deregulation in the energy markets is the result of two acts of Congress: the Public Utilities Regulatory Policies Act (PURPA) of the 1970s, which created to infrastructure for independent energy production, and the Energy Policy Act of 1992, which opened the energy supply market to re-salers and wholesalers. In an energy market that's regulated, one company controls the entire supply chain and pricing, leaving consumers no choice but to use that service provider or go without. In a deregulated market, the energy commission for each state or region is responsible for generating power and transmitting it to the grid, and private companies handle maintenance, transmissions and connections from the grid to the customer. The remaining states have deregulated either one source or the other, but soon all 50 states will have open energy markets. Ultimately, everyone benefits from energy deregulation. The states no longer need to spend money on grid and infrastructure maintenance, private companies can put their profits into developing cleaner energy technology and the consumer can choose the provider and terms that suit their circumstances and budget. Deregulation also benefits your by converting your utility bill to a fixed - rather than a variable - expense, allowing you to better manage your money each month. In state that have deregulated their energy provision, companies like DirectEnergyRates.net will allow you to compare the rates from different providers only line at the click of a mouse. You simply type in you zip code, and you'll receive a company by company listing of rates, services and terms for residential and business customers. This allows consumer to pick the services that will fit their needs, and let you know about things like which companies provide green energy technology. You don't have to completely retrofit your home to save energy. In fact, some of the most effective ways to go green are also some of the easiest. If you're ready to give back to Mother Earth, here are just seven ways to reduce your energy consumption. Instead of reaching for the thermostat every time you're uncomfortable, try opening the windows instead. If you're hot, a breeze will filter in and cool you down; if you're cold, a tightly-sealed window will better trap the heat. If you can shave just one minute off your morning showers, you'll save thousands of gallons of water a year. It's as easy as washing your hair more quickly or using a two-in-one shampoo/conditioner instead of putting them on separately. Embrace farmer's markets and mom-and-pop shops. In addition to pumping money back into the local economy, you'll also stop contributing to the carbon emissions let off by trucks, ships and planes as they ship distant goods to your community. The next time you're in the market for a new dishwasher, look for something with the Energy Star logo. Not only will you save water and energy with a specially-made product, but you might even be eligible for a rebate. When's the last time you cleaned your air conditioner filters? The dirtier they are, the more your unit has to compensate, and that's power going completely to waste. Clean your filters and you'll save massive amounts of energy that used to go towards overcompensation. Don't turn on the washing machine unless you have a full load. Don't dry your clothes in the dryer if you can hang them up. These are simple practices that can save you a lot of power in the long run. If you're still using halogen bulbs, it's time to join the revolution and switch to compact florescent lights (CFLs). They're much more efficient, and they last longer to boot. These are just a few ways to do your part for the environment. As you can see, they're all much easier than popular opinion would lead you to believe, so there's no excuse not to start implementing them right away. Visit a site like Compare Texas Energy Providers (http://www.comparetexasenergyproviders.com/) to learn more. Although prices have fluctuated, high speed Internet service continues to provide faster options for most people living in large metropolitan areas. The average high speed continues to go up, while the entry cost for those seeking the least expensive option remains under $20 a month in many regions. Extensibility: In some cases, you might find that your local provider can match the price of a known brand like U-verse. However, most of the time, the known brand will be able to offer you extended services and bundles that make their offering more attractive overall. If, for example, you compare cable television and high-speed Internet from two separate providers with the service that AT&T offers, you will find that a bundle that offers a price discount for having more than one service will always bring you more overall value. Speed: It is true that at the highest speeds you will save time during the workday. Beyond that, however, it is really dependent upon what you plan to use the internet for that will determine which provider has the best package available. If you need to use a lot of multi-media or share your connection with your family, you might find that using the highest speed package available will keep everyone happy. On the other hand, if you use your connection largely for browsing and social media, a package that is high speed, but doesn't cost as much may be a better option for you. Another potential scenario is if you tend to use your smartphone or tablet to connect to the internet more than you do with a computer. When that is the case, you won't use as much data as you will with a computer, making a lower cost package a better deal. Service: Most internet connections are expected to perform day in and day out without any loss of service. Unfortunately, if you have a provider who is growing rapidly or has had problems in the past in your area, you might experience breaks in your service that can detract from the quality of your experience. Finding a provider that offers customer service around the clock in order to ensure that your service is giving you everything that you paid for is therefore a very good idea. California has always been one of the most popular places for Americans to live and run a business. With over 38 million people, it is also the most populous state. And although most communities are quite safe, safety does not mean that your home is any less attractive to those who want to steal things from you while you are gone. With the advent of remote monitoring, home security system costs have come down to the point where they are affordable for everyone. They can be installed and paid for monthly, just like your cable television bill. One incentive for purchasing a home security system is that you can typically save money on your homeowner's insurance by receiving a discount when you have an acknowledged expert firm like ADT as your provider. ADT is well-known throughout the US as a firm that adheres to security philosophy that is tied to burglary statistics. They typically advocate that you have monitors at at least three points of entry in order to provide the best coverage against theft. Is a custom or service-provider specific security system better? You may have bought your home with a security system already installed. If that is the case, you can take the specification to a California home security provider like ADT and ask if it will allow them to remotely monitor it for you. You can also look at remote monitoring from companies that provide remote monitoring for any type of security system that can be networked. Yet if you look at what is going on in the world of burglary, you will notice that if a system has not been installed or certified by a provider recently, they may be more likely to try and find ways to get around it. The nice thing about working with providers that do offer their own equipment is that if you sign up for an extended contract, they will normally install state-of-the-art equipment that should protect your home for several years. And if you need an adjustment because you would like to extend coverage to your windows or a new entry door, they will do that for you as well. Most neighborhoods in California prove to be great places to raise a family. On the other hand, many Californians have security systems installed to protect their valuables because they know that despite appearances, not being protected can become an invitation for those that want to make some fast money. Since there are so many features of alarm systems, it is important that you choose a system that meets your needs. You don't want to choose a system that doesn't protect you as well as it could, of course, and to determine this, it is important to take a look at your options. For instance, if you just have a small space, you may be fine to get a system that has a camera, but not motion sensing capabilities. Alternatively, if you have a large space, you don't want to neglect spaces and allow them to go unmonitored. A security system is only as good as the company that supports it, so it is important to also look into the business. First, you should make sure that you are working with a company that is highly reviewed and established. It is also important to look for a company that offers free services, such as free estimates for alarm systems. 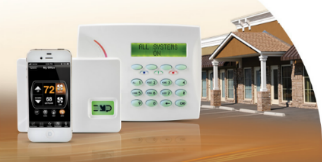 Of course, you also want to choose a company that has the alarm services you need for your home or business. You also want to make sure that you are looking for a system that has a fair contract. In most cases, you have to sign a contract to have a security system, so make sure it's fair. You can talk to a security company before to see what type of contract they offer. In addition, make sure that the length of the contract is something you can accept, as it may be expensive to get out of it if you are not happy with your services. Getting an alarm system has many benefits for your home or business, but a little research is necessary to ensure that you have the right system for your needs. There are many handy projects you can do that will require the use of a dry diamond blade for cutting cement, stone or similar materials, but there are a few things to remember before attempting to use your power saw with a diamond blade. The following are just a few of the things to keep in mind for your safety and to keep the finished project looking good. Depending upon the material that you are cutting, the amount of dust that can kick up can sometimes be significant. It is always best to protect yourself with a breathing apparatus. At the very least, a surgical mask will do the job. Most people will not be cutting for any significant amount of time, so a surgical mask will be both cheap and effective. When cutting for an extended period of time, you need to invest in a more elaborate respirator mask. Protecting your eyes should be obvious to anyone, but there are still thousands of accidents every year in the country that could have been prevented with protective glasses. Do not go cheap on buying a pair. This is an investment that you will never regret. In addition to protecting your eyes, do not neglect your body. It is best to wear something heavy with long sleeves to protect from a stray chunk of concrete hitting your body. Although seldom life threatening, the first time you get hit by a small size rock at high speed, you will wish you were wearing a thicker shirt or jacket. Using a hand held power tool means that you will be using a dry diamond blade. Unlike the larger saws used in the construction industry that use wet blades, your dry blade will be dependent upon air to keep the blade cool instead of water. These blades are designed to stay cool from the air, but it is equally important to use the correct technique when cutting. You should make short, shallow cuts with your saw, and give your blade a chance to cool before cutting a second time. Avoid cutting through the cement or stone with a single cut. For more information about a dry diamond saw blade, you can visit a website of one of the companies that specializes in these blades. The U.S. Diamond company is one example. The Department of Transportation relies on an extensive team of professionals to inspect and prepare commercial drivers today. Along with driving instructors who show drivers how to handle big rigs and examiners who administer licensing tests, the DOT also relies on doctors who ensure that each and every driver on the road today is physically capable of handling this kind of career. When you would like to add your name to the team of physicians handling this work for the DOT, you may wonder how you can get the instruction you need yourself to join this aspect of medical care. You can pursue lessons like DOT certification training by checking out your online learning options. If you are already part of a practice or employed at a busy hospital, you may not have time to take classes at a university or vocational college. Your workdays are already booked with seeing patients and taking care of paperwork for medical records. However, when you have some downtime during the week, you may be interested in taking this certification course to become a DOT physician. Rather than trying to abide by a strict on-campus schedule, you can take classes in your own time by enrolling in training online. When you take courses for this training online, you may wonder about the quality of the courses in which you are enrolled. The courses are all accredited and offer you the same level of instruction that you would receive on-campus at a college or university. You also have access to course work, lectures, and other study aids like those utilized by on-campus students. The difference is that you can study anytime and anywhere by using your mobile device instead of attending a lecture in a lecture hall. This mobility means that you can take your courses at work when you are on a lunch break or when you are at home during your days off from work. There is no rush for you to complete the lessons. You can take them according to your schedule and then take the tests and post-tests to prove that you are ready to examine patients. Once you complete the entire set of courses, you can present your credentials to the DOT and become part of a team that helps drivers prepare for their career in over-the-road hauling. You help ensure their careers and the public's safety.